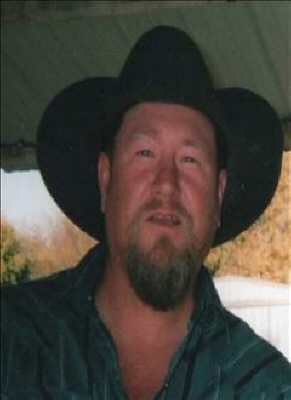 Jerry Doyle Taylor passed away Tuesday January 22, 2019 at Hillcrest Memorial Hospital in Tulsa at the age of 60. Jerry was born September 22, 1958 in Holdenville, Oklahoma to Doyle K Taylor and Norma Woodruff Taylor. He graduated from Holdenville High School. Jerry married Gail Hunt August 11, 1980 in Ada, Oklahoma. He worked for Tyson for many years in the Maintenance department. He attended Harvest Time Tabernacle in Holdenville, Oklahoma. He loved spending time with his family, kids and grandchildren. He was a hard worker and enjoyed old cars, trucks, cutting wood and trading. Jerry was preceded in death by his parents and one brother Harold Taylor. He is survived by his wife Gail Taylor of Mulhall, Oklahoma, son Shane Taylor and his wife Rachel of Holdenville, Oklahoma, daughter Jennifer Johnson and her husband Phillip of Holdenville, Oklahoma, ten grandchildren, sisters; Linda Roundtree of Sasawka and Mary Donna Coble of Atwood, numerous nieces, nephews and other relatives and friends. Funeral service will be 2:00 PM Wednesday January 30, 2019 at Hudson Phillips Funeral Home Chapel with Pastor Phil Bennett and Pastor Jimmy Freeman officiating. Pallbearers are Robert Merriman, Tanner Moore, Chuck Treece, Dennis Cornell, Andy Lucas and Kadon Moore. Honorary pallbearers are Kason Moore, Shane Taylor and Rodney Simpson. Interment will follow at Holdenville Cemetery under the direction of Hudson-Phillips Funeral Home Holdenville, Oklahoma. To send flowers or a remembrance gift to the family of Jerry Doyle Taylor, please visit our Tribute Store. "Email Address" would like to share the life celebration of Jerry Doyle Taylor. Click on the "link" to go to share a favorite memory or leave a condolence message for the family.